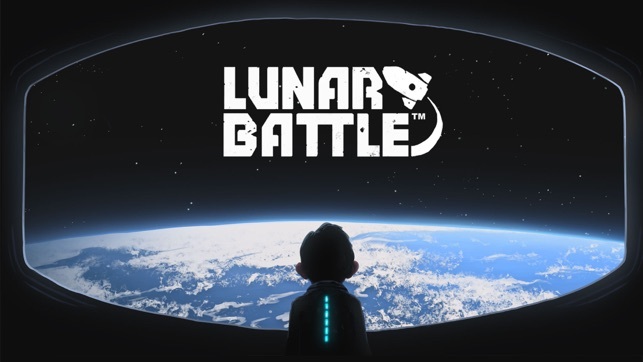 Conquer the skies and explore uncharted terrain with Lunar Battle™, a new action-packed mobile title from the developers of the hit game RollerCoaster Tycoon 4 Mobile™. Lunar Battle™ is a free-to-play game with an addictive mix of city building and space fighting simulation. Build your space colony, construct incredible world wonders, fight against other players, as well as aliens, space pirates, barbarians and many other enemies to become the ruler of the galaxy! Note: A network connection is required to use multiplayer features. Single player mode can be run without network connection. 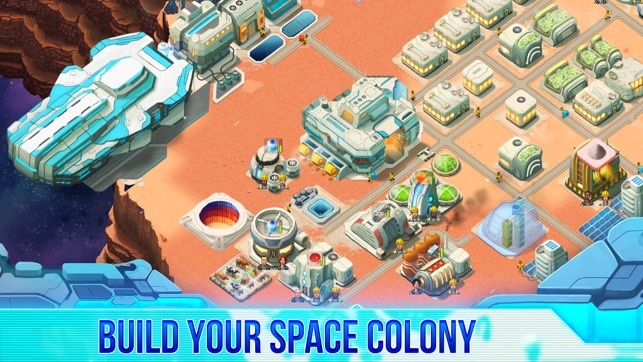 • Build a Base – Create a thriving space colony by building out power, food, water, tech, and more. Customize building layouts to create the ultimate personalized galactic refuge. 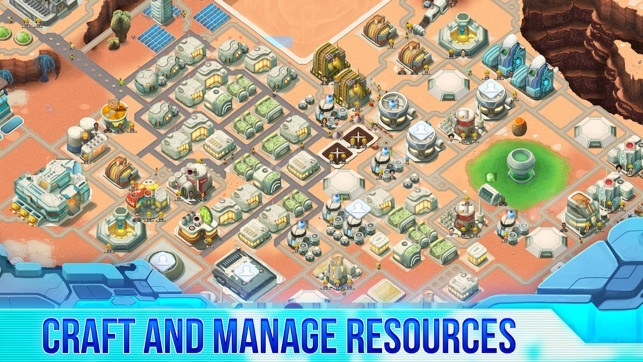 • Explore the Planet and Harvest Resources – Unearth precious resources including space ores, ship parts and energy sources. Use the materials to keep the population growing and colony thriving. • Take Flight and Fight – Participate in PVE and PVP dogfights as part of the thrilling arcade space shooter experience. Use materials crafted and salvaged on the surface to outfit and upgrade space fighters with a selection of powerful lasers, plasma cannons, shields and more to become the terror of the nebula! • Conquer Campaigns – Beat 50 levels of pulse-pounding space action. 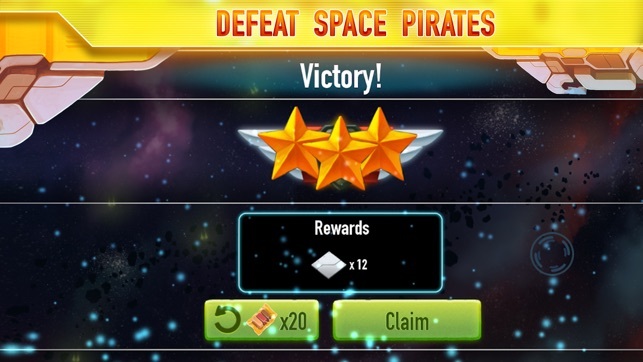 Try to score three stars on each level to receive rewards and salvage for completing missions. 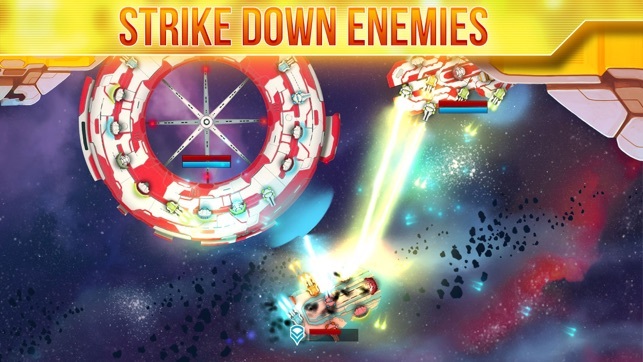 • Destroy the Enemy – Equip workers with blasters to fight off hordes of disgusting, deadly aliens and expand territory. Over 2 MILLION downloads in the App Store!This arcade classic is now ENHANCED with improved graphics and deeper gameplay features such as power ups (Fire, Acid, Splitting, and Grenade Balls), unique brick types (Exploding, Mystery, x4, and Metal bricks), and Boost Control! The faster your ball goes, the more points you’ll get! After you’ve gone through the initial stages, purchase additional packs to increase your library up to 200+ levels! And with Game Center support, share your high scores & achievements with all your friends.What’s more to say…the king of arcade classics is now available for you to relive gaming nostalgia on the go! FEATURES:- Sharper, enhanced graphics.- 10 free levels, 200+ more levels available via in-app purchase- Boost Indicator: You control the speed of the game – the faster the ball goes the more points you receive!- Fire Ball, Acid Ball, Splitting Ball, Grenade Ball.- Exploding bricks, Mystery Bricks, x4 bricks, Metal bricks.- Missiles & other power-ups.- Game Center Leaderboards & Achievements.- Save and restore games in-progress.- Additional content coming soon! Celebrate the LGBTQ (Lesbian, Gay, Bisexual, Transgender and Queer) community with Pridefest™, an interactive social-simulation game that empowers YOU to bring joy and color to your city and friends! As Mayor, it’s your job to restore your city to its former glory by customizing shops, completing challenges, making new friends, and running your very own Pride parades. Choose your floats and navigate flamboyant parades in fun mini-games and puzzles. The bigger and more jubilant your parade, the more fun you’ll bring to the city, and the more of the city you’ll be able to customize and unlock! Lead your parade with your own avatar, join or form your own Club, and connect with other players to chat, visit each other’s city, or hang out in your town square. • Be Creative! Create and launch Pride parades by designing your own flotillas, with tons of flamboyant and fun floats to choose from - including bikers, LGBT flag-bearers, giant boom boxes, the Eiffel Tower and more! • It’s YOUR City! Upgrade your LGBT Center and turn drab gray buildings into thriving businesses and residences, bringing more income to your city, and unlocking more of the city to explore. The residents of these buildings get bored over time, so it’s up to you to run parades by them to keep the party going!• Customizable Avatar! Personalize your own avatar with different body types, skin tones, clothes and accessories; Use your avatar to lead your own Pride parade or join a friend’s parade.• Story Mode! Complete forty tricky puzzle challenges while following the story of your Mayoral journey, and the story of Pride!• Lead Your Parade! Swipe to navigate your parade through city streets and festivals in fun and addictive parade mini-games; Collect power-ups to alter gameplay, while avoiding roadblocks, construction sites, and protestors. The farther you run your parade, the more joy you’ll bring to the city!• Share Your Pride! Robust social features include in-game chat, the ability to visit each other’s cities, and more. Meet people from around the world and build your own community of Pride!• Join the Community! An innovative “Club” program allows players to join together to chat and interact on a huge scale. Send messages to your group via in-game billboards, get exclusive news, updates, and more. RollerCoaster Tycoon® Classic is a new RCT experience, combining the best features from two of the most successful and beloved RCT games in the series’ history – RollerCoaster Tycoon® and RollerCoaster Tycoon® 2. Create and run amazing parks complete with the most outrageous rides imaginable. RCT Classic includes a mixture of authentic playability, depth of gameplay and unique graphical style of Chris Sawyer’s original best-selling RollerCoaster Tycoon® PC Games, now enhanced for handheld devices.Packed with content, players can enjoy designing and building roller coasters and rides, landscaping parks and managing the staff and finances to keep their guests happy and the money flowing in.Can you become the next RollerCoaster Tycoon? PLEASE NOTE: Additional content for RollerCoaster Tycoon® Classic is available via In-App Purchase, specifically the three expansion packs: Wacky Worlds, Time Twister and Toolkit. The expansion packs are the ONLY content that require an In-App Purchase and In-App Purchases are not used anywhere else in the game.Key Features:•The Original RollerCoaster Sim: Experience all the fun from the original RollerCoaster Tycoon® and RollerCoaster Tycoon® 2 games, with a new app that combines the best elements of both classic titles.•Coaster Construction: Create incredible roller coasters – Quickly build a pre-made design or use the intuitive piece-by-piece building tools to design and theme your own unique rides.•Park Designer: Keep your guests happy by building gentle or wild rides, food and drink stalls, water rides, and even transport rides to take them around the park; Customize your park by building scenery, fine-tuning the landscape, and routing the footpaths.•Park Management: Run your park’s marketing and finances to make a profit while attracting more guests; Organize your staff to keep the park running well and looking its best.•Exciting Environments: Build the ultimate theme park in a variety of challenging environments, from the tranquility of Forest Frontiers to the bustling commerce of Megaworld Park.•Park Scenarios: Progress through 95 classic park scenarios from RollerCoaster Tycoon® and RollerCoaster Tycoon® 2.•	Authentic Gameplay: Classic-style characterful isometric graphics and original amusement park music and sound effects.•	Packed with Content: Includes hundreds of types of roller coasters and rides, and dozens of different shops, stalls, and facilities.Additional Content Available with In-App Purchases: 1)Wacky Worlds Expansion Pack: Find your passport and pack your bags! Wacky Worlds takes players on the ultimate trip around the globe in 17 new park scenarios! Includes exotic rides, profitable concessions and the most famous landmarks known to man including the Eiffel Tower, Big Ben, Statue of Liberty, Great Wall of China and more! Each location is packed with opportunities for success, fun and unique challenges.2)Time Twister Expansion Pack:Travel through time with 14 new park scenarios based on historical and fantasy time-themes and build a park that is truly a blast from the past (or future if you like). Play in a Prehistoric amusement park decorated with huge animated T-Rex’s and coasters such as the Raptor Ride, or choose from Mythological times, the Dark Ages, the Rock & Roll crazed ‘50s, the Future or the Roaring Twenties.3)Toolkit:Park Scenario Editor: Design and build your own amazing parks – Make them as easy or as challenging as you want, using your choice of scenery and rides! Includes a number of Six Flags parks to get you started.Ride Designer: Build, test, fine-tune and theme your own awesome roller coaster designs in the Ride Designer before saving them for use while playing!Import and Export: Share your saved parks, park scenarios and ride designs with friends, and try out their creations too! (Includes the ability to import most saved parks and scenarios created with the original RollerCoaster Tycoon 2 PC game).